Today I am going to illustrate how to edit pdf page size and content size. For example, if your pdf size is very large and the content size is big so that it is not fit for your eyes. In this case, we can reduce the pdf size and content size. You see it is impossible for you to fix it without any software. Here we can handle it with the help of the Advanced PDF Tools. 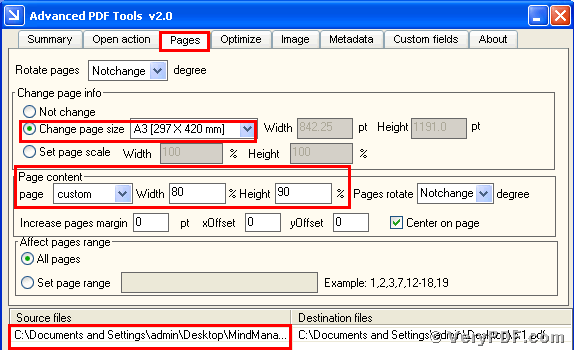 This software can allow you to edit pdf page size and content size. It will take no more than two minutes to fix it. So do not worry about it , the operation is very easy. Only if you pay more attention to my article, I think that you can gradually master this function. 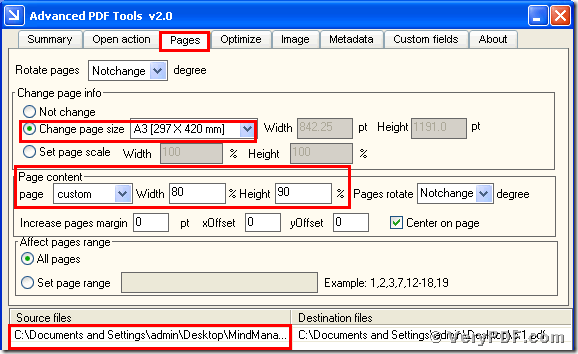 Step 1, if you do not have this software, please enter into this link: http://www.verypdf.com/order_pdftools_gui.html, and download this software for the further use. Do remember to extract it, when the download is finished. For it is zipped package, then unpack it. Step 2, install this executable file in your computer. The important step is that you need to register. This process is vey easy, you just need to input a string of codes into this software. Of course this string of codes, we enclosed in this software. If not, this software is just a trial version. Some functions will be disabled. After you finished these procedures, it will appear an icon of the Advanced PDF Tools in your computer. Step 3, double click this icon, let this software run. 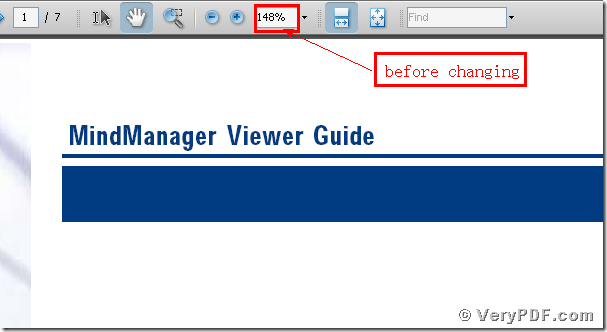 Then drag your pdf file(MindManager_Viewer_Guide.pdf) into this program, click the label “Pages”, and find the title “Change page info”, and cancel the default status “No change”, check the radio box “change page size” and choose the size that you want to be. The same way to “Page content”. At last, save the change. Please look at picture 1. Step 4, Separately open the changed pdf file (5.1 pdf) and the before change pdf file(MindManager_Viewer_Guide.pdf). You will find that we had already edited pdf page size and content size by using the Advanced PDF Tools. Here in order to let you obviously find the difference between them, I also give you two screenshot. In these two pictures, you can see that we had reduced pdf page size and content size. Finally, according to read my article , you can learn how to edit pdf page size and content size by using the Advanced PDF Tools. If you are interested in this software and want to know more functions of it, you can go to this website: http://www.verypdf.com, and read more. This entry was posted in Advanced PDF Tools and tagged Advanced PDF Tools, edit pdf, pdf content size, pdf page size. Bookmark the permalink.